What a year, what a year! Opal is finally one and is feels like it came way too quickly! Opal has had a big first year. Her parents got married and was a flower girl and she just recently met Santa! I have loved watching Opal grow during this first year. She is sweet and has some sass in her. You’ll also see one of her favorite stuffed animals, Dottie, in her first birthday pictures too. She LOVES that stuffed kitten! 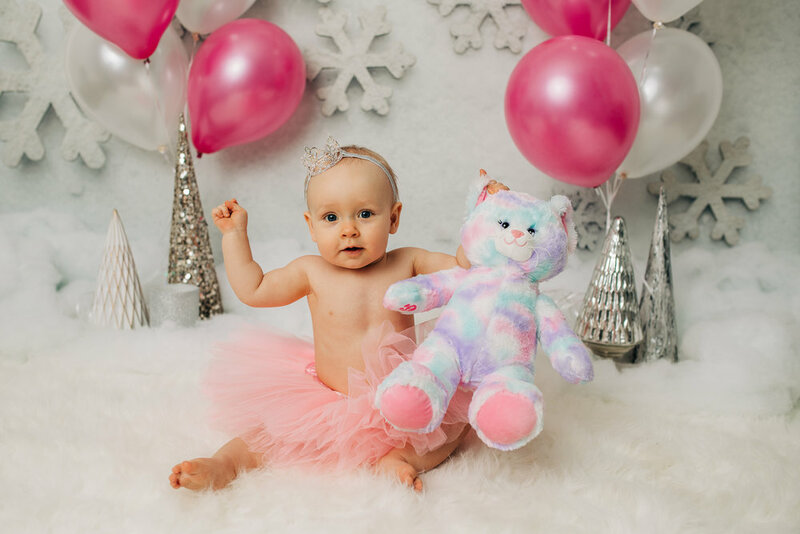 I am so thrilled with how these first birthday portraits turned out with the wintry theme her mom wanted.